On Sunday, I had a bit of a painful adventure getting the backing put together for Heather Jones’ You + Me quilt I started in SewDown Portland. But I persevered and the back was completed and I got the quilt basted, too! I got to spend about a half hour working on the quilting tonight. I just seems to scream for straight line quilting, so I am going to fill in all the backing / white areas first with straight lines a little over a quarter inch apart. I plan to come back and fill in the yellow and blue areas with something a little different. Different might just be different thread color… but I’m playing around with a few other ideas. On a random side note, every time I think about matchstick quilting or straight line quilting it makes me think of the band “Straight Line Stitch”. The band is from Knoxville, TN, (I went to college at UT Knoxville) and they are a very heavy metal band with a female lead singer. Love how it is coming along so far! 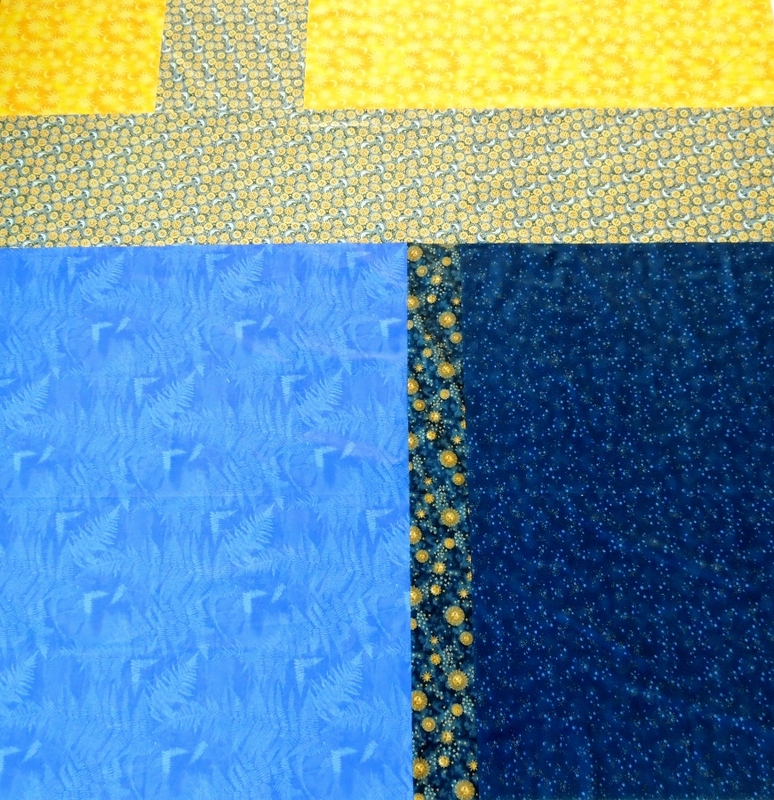 The colors are so fresh and the straight line quilting is perfect!! Burns are the worst, here’s to a speedy recovery!